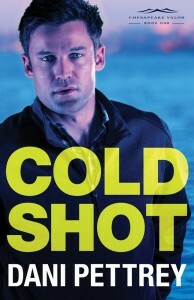 Dani Pettrey’s latest novel Cold Shot is the closest thing to Dee Henderson’s O’Malley series that I have read. That may not sound like high praise, but trust me — it is. Henderson’s O’Malley series is one of those iconic, career defining, genre quintessential series that is beloved and held dear by readers. The O’Malleys are more like friends than characters. 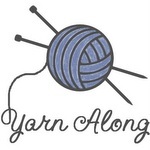 I’m starting off this review by mentioning this because Cold Shot sparked a similar type of interest and investment. 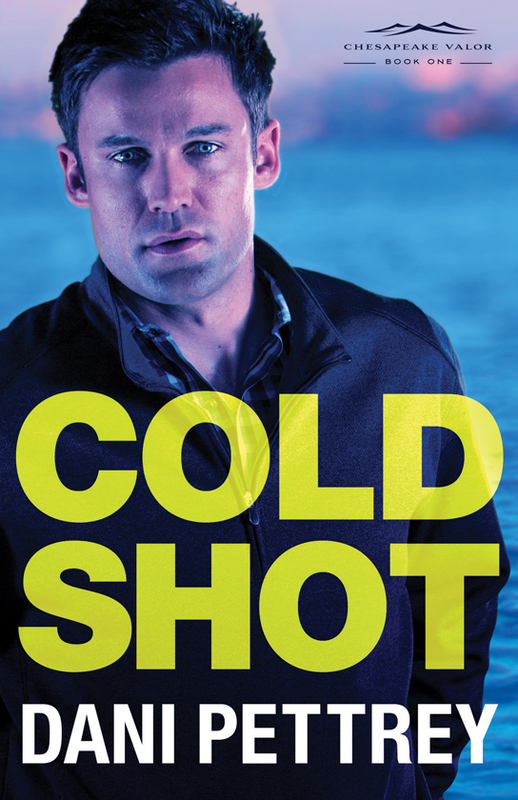 Cold Shot is by no means a replication of Henderson’s work, but it echoes so many of the same elements that make the O’Malley series shine. 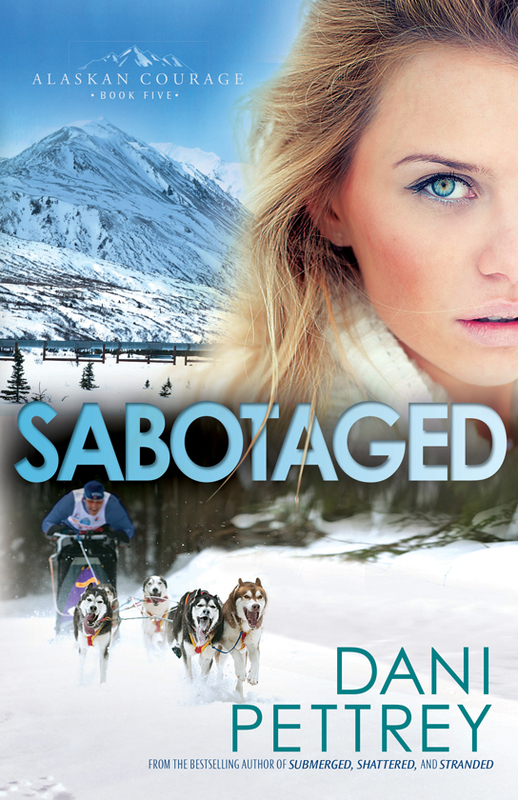 The fifth novel in Dani Pettrey’s Alaskan Courage series, Sabotaged, rounds out the story of the McKenna clan with a new mystery to solve and everyone on board for the ride. As the famous Iditarod begins, Kirra’s beloved uncle, a musher, disappears, her cousin is kidnapped, and the fate of the Alaskan wilderness is held in the balance. Kirra and fellow search-and-rescue team member Reef McKenna race to solve the mystery. With a gunman chasing them across Alaska, extreme environmentalists on the loose, and lives on the line, Reef and Kirra learn more about each other with each step to learning more about her cousin’s kidnapping. Reef and Kirra are interesting characters, and I’ve enjoyed how they have been interwoven into previous Alaskan Courage books. I identify with Kirra because it could also be said of me that I grew up as the “goody-two-shoes” girl. And, ironically, Reef reminded me a lot of my popular, adventure loving brother who wasn’t always on the straight and narrow. The plot is packed with mystery and some action, as Reef and Kirra race to save her cousin and their beloved Alaskan wilderness. Sometimes the plot became almost redundant, as the two spent most of their time driving or interviewing potential suspects. But as a whole, it was well thought-out and an interesting take on the vulnerabilities of people, passionate environmentalists and those who are out for revenge. However, I was somewhat disappointed in this last Alaskan Courage book for two main reasons: I would have loved more history and information about the Iditarod. I learned a little, I suppose, but one of the reasons I loved Submerged (Book 1) was because I learned so much about the connection between Alaska and Russia and the history therein. There was such rich opportunity to share more of the culture, history etc. of the Iditarod, but I came away without that. The second reason, and more integral to the book, was that I didn’t feel Reef and Kirra changed, evolved, grew, etc. at all. Now, if you have read the previous books, you’d have seen how Reef has been changing for some time. But as a stand-alone, you don’t get that at all in Sabotaged. It’s more like both Reef and Kirra are discovering just how much he has changed. That made the story fall flat for me. I wanted to know more about Kirra, to see her struggles, her personality, not just because of a trauma in her past, but because of who she is as a person. Like I said, I identify with her. But I didn’t feel like she was fully explored and rounded out as a character. Overall though, I love the Alaskan Courage series, Sabotaged included. I look forward to seeing what new book Pettrey has in store for us next! Also read my reviews of Submerged, Shattered, Stranded, and Silenced! I received a complimentary copy of Sabotaged from Bethany House Publishers, but I was not otherwise compensated for this review. All writing, thoughts, and opinions are solely mine. When Jake,a former detective, and Kayden, an expert rock climber, are roped into investigating a murder, they learn that not everything is the way it appears. And soon, Kayden’s life may be in danger from an unseen enemy. This novel had less of the suspense of previous books in the series. Instead, there was a lot of investigating — talking to a suspect, and then a witness, and another suspect, and then back to the first. And so on and so forth. The thing is, I’m sure that a lot of police work really does happen this way, but it doesn’t make for the best page-turner. That said, I did enjoy the book. I was concerned that I simply wouldn’t like Kayden, because by the end of book three, I really didn’t. But being able to get inside her head and her heart made me recognize why a man like Jake might fall for her. I gained a new respect for her and her story through this novel. I also very much enjoyed getting to know Jake better, after being more of a fringe character in previous novels. My biggest struggle with this book was that it didn’t seem like the two plot lines connected. It was almost as if one mystery was solved and then the second. And, as a reader, there was little way to guess the final whodunnit. The very ability to do that was one thing I lauded about the third book in the series, Stranded. My critiques here are mostly because I hold Pettrey and her novels to such a high standard. Really, overall I would highly recommend Silenced and the rest of the Alaskan Courage Series to anyone who enjoys a good Christian suspense novel. Dani Pettrey is absolutely a must-read author. 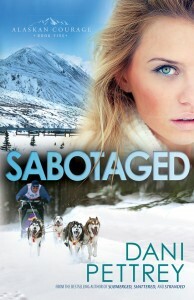 And I am very much looking forward to the final book in the series, Sabotaged! 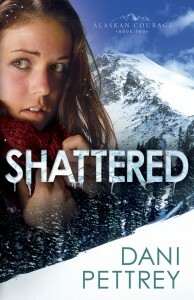 Also read my reviews of Submerged, Shattered and Stranded! I received a complimentary copy of Silenced from Bethany House Publishers, but I was not otherwise compensated for this review. All writing, thoughts, and opinions are solely mine. 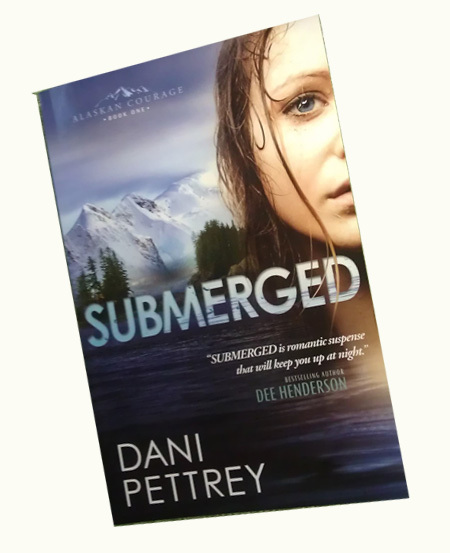 The third novel in Dani Pettrey’s Alaskan Courage series, Stranded, is a great addition to Submerged and Shattered. The story continues the saga of the McKenna siblings, focusing on big brother Gage. Darcy, a former investigative reporter, gets pulled into an undercover operation by her former partner, who promptly disappears. Left on her own to solve the mystery of her friend’s whereabouts, Darcy inadvertently involves her friends the McKennas, and Gage realizes that he isn’t willing or able to look the other way as Darcy walks headfirst into danger. Soon, the two must work together to solve the mysterious disappearance of women from cruise ships in Alaska. I flew through this book in record time, reading well into the night and fighting drooping eyes just to read one more page. I was a little sad that I figured out the “whodunnit” before the characters, but I always appreciate an author willing to give the reader all the clues they need to figure it out, rather than holding some back and then revealing the key clue only at the end. So kudos to Pettrey for giving the reader a chance. 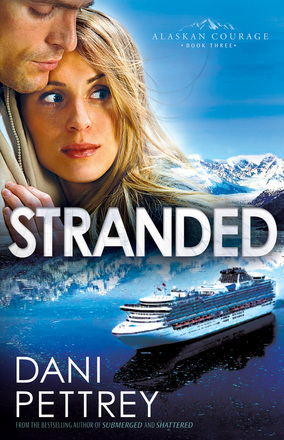 Stranded wasn’t my favorite of the series so far, but it was a page turner and I did enjoy it very much. I have been a long-time fan of Pettrey’s friend, Dee Henderson, and I would highly recommend Pettrey to any of Henderson’s readers. The style of mystery and suspense with heart and faith is a unique find amid inspirational fiction. I was not paid for this review. All writing, thoughts, and opinions are solely mine. PS. 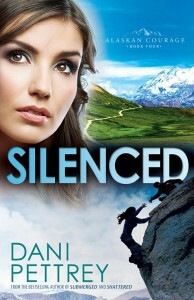 A review for book 4 in the series, Silenced, will be coming shortly! Dani Pettrey’s second novel Shattered was a great follow-up to her debut, Submerged. I stayed up far too late engrossed in the story, and if I’d had the time I would have read it straight through in one sitting. Shattered picks up where Submerged left off with the McKenna family, with the lead roles going to sister Piper McKenna and family friend, deputy Landon Grainger. When young Reef McKenna is accused of murder and arrested by Deputy Grainger, Piper and the McKenna family are determined to prove his innocence. With local law enforcement convinced Reef is their man, the family takes on the investigation themselves. Piper and Landon finds themselves facing a motorcycle gang, corporate espionage, witness protection, murder, and kidnapping. The plot is a series of twists and turns as Piper and Landon try to discover just what landed Reef in jail awaiting trial for murder. The adventure never seems to stop and takes them from Alaska to Canada to California, Oregon and beyond chasing leads. The suspense plot was definitely the stand-out feature of Shattered. While I enjoyed getting to know all the characters, I was disappointed not to learn more about Piper personally. Other than her frank nature, little of her inner thoughts, personality and struggles was explored. Although I watched her come to a startling realization about herself, I didn’t see her grow in the midst of the story. Similarly, while Landon’s struggles were expressed, they were mentioned almost casually with little depth or exploration and little growth. Further, I struggled with how little impact the arrest of their youngest brother seemed to have on the family. In my experience, the fact that he has been something of the “black sheep” of the family would make the events all the more traumatic for the family, causing more emotions to surface than just indignation. Although the characters were not as well developed as Pettrey’s debut novel, I would highly recommend Shattered to anyone looking for a good adventure and an intriguing mystery! It was hard to put down. I look forward to the next installment of the Alaskan Courage series, coming this fall. I received a complimentary copy of Shattered from Bethany House Publishers, but I was not otherwise compensated for this review. All writing, thoughts, and opinions are solely mine. I stayed up long past my bedtime engrossed in the story and turning each page with enthusiasm and anticipation. 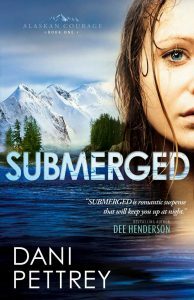 Submerged is the story of a young woman’s return “home” after more than a decade of running away from her past. In the midst of her personal turmoil, Bailey Craig becomes entwined in a series of events–a plane crash, a murder (or maybe two…), the stolen diary of a Russian princess and the possibility of sunken treasure. Pettrey’s characters were complex and surprisingly real, although I would have enjoyed seeing more growth in the hero, Cole Mackenna. Main character Bailey Craig was easy to identify with and cheer on as she worked through her struggles and raced against time to solve the mystery. Even more, the cast of supporting roles was far from disappointing as Pettrey managed to realistically develop numerous characters on the periphery without stealing the spotlight from our heroine. The book’s beginning and climax are both action packed, although a good portion of the middle is more sedate–more sleuthing, research and clue gathering than real action. But in the end, I believe the mix made for an adventurous and entertaining plot while still putting the emphasis on character development and the theme of forgiveness. On top of that, I’m a sucker for a new or unusual setting where I learn a little more about our world, culture and history. I had no idea what a rich Russian history was present in Alaska and I can thank Pettrey for educating me on that front! I would absolutely recommend Submerged as a great beach read this summer. 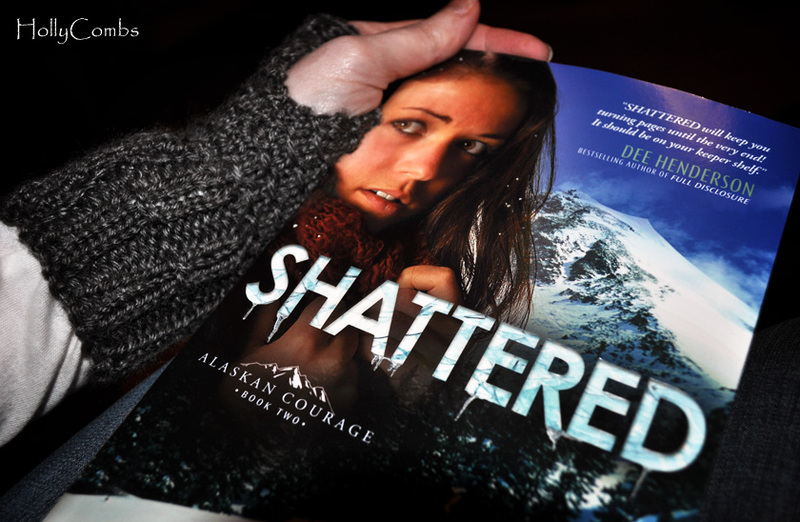 I look forward to following Pettrey’s writing career and reading the next book in the Alaskan Courage series! I received a complimentary copy of Submerged from Bethany House Publishers, but I was not otherwise compensated for this review. All writing, thoughts, and opinions are solely mine.